What’s something that made you fall in love with your spouse? What keeps you falling in love? What are some personality traits the two of you share? If you were granted an extra day, what would you love to do with it? As your time goes on, your relationship with your spouse will change and grow. 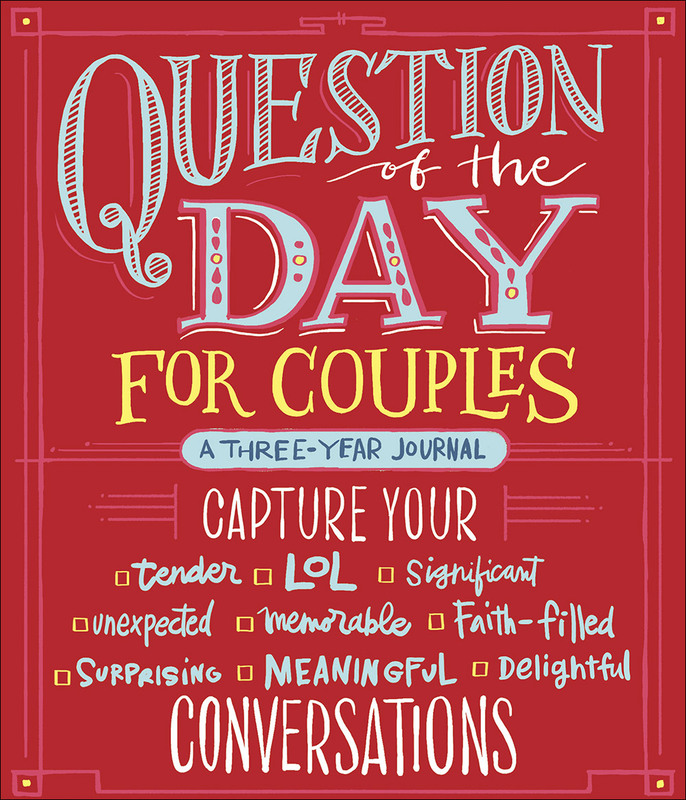 This question-a-day journal will help you celebrate all the tender, surprising, LOL, faith-filled, and meaningful moments in your relationship. 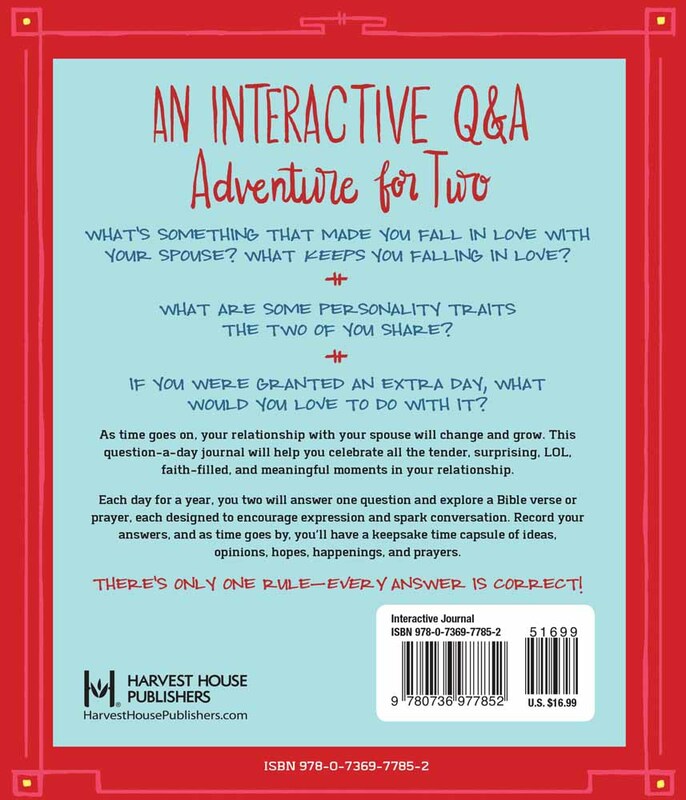 Each day for a year, you two will answer one question and explore a Bible verse or prayer, each designed to encourage expression and spark conversation. Record your answers and as time goes by, you’ll have a keepsake time capsule of ideas, opinions, hopes, happenings, and prayers. There’s only one rule—every answer is correct!